A dance with a “Cloudy Dancer” is nothing short of magical! For me, it’s the ultimate dance. A dance where you barely feel your partner while at the same time feeling everything! The guide is light as is the contact between each dancer but a light touch is all that’s needed. Just enough for the idea, the intention to be understood between each other. It doesn’t have to be the most complicated dance ever, nor the most spectacular. What’s important is that everything just works; no tugs, no false leads, no off timing… pure dance magic! I first started using the term “cloudy dancer” to describe some wonderful salseras I had the pleasure of dancing with when I moved to Dublin. Dancing with a cloudy dancer is just how it sounds. Their touch you barely feel yet they respond to your lightest lead with a precision that astounds me! Clearly, the name I went with isn’t that original, nor does it sound particularly catchy but it describes exactly what I feel when I dance with a “Cloudy Dancer”. Like a wisp of vapor; I’m aware of her presence only by the lightest of sensations on my fingertips. What’s even more special about them is that they’re not all that common but, by God, once you dance with one you’ll thank the heavens for their existence. As soon as the music plays and you both start dancing you’ll feel it. The connection without resistance, the flow without force, the magic. You won’t be able to hide the smile on your face and you won’t want to. Your confidence will skyrocket, inexplicably knowing that whatever you do will just work… and work beautifully at that. Adrenaline will flow and hearts will race and when the music comes to an end you’ll want to embrace her… or kiss her… but you won’t. You’ll thank her and walk away, your feet as light as her touch when you danced, feeling a euphoria which only comes from the near perfect orchestration of two individuals moving as one. At this stage you won’t mind going home. 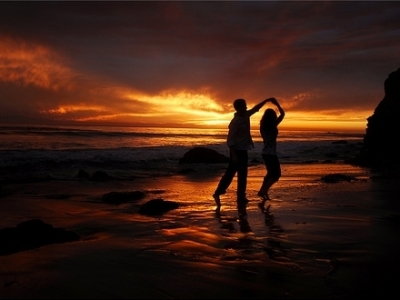 It’s the type of dance that fulfills your whole night, the type of dance you can retire on. At least that’s how it feels for me! I also know (although I don’t know why) that I’ve barely scratched the surface of what it’s like to dance with a cloudy dancer. My salsa still leaves a huge amount of room for improvement and as I get better I know that I’m going to feel the dance like I’ve never felt it before… and I can’t wait. This post hasn’t really offered anything in the line of advice but if anything I hope it motivates you go out and dance with more people in the hopes that you’ll get to experience a dance like that for yourself, that will fill you with a reinvigorated love for salsa or bachata or whatever. It really is something very special. ← Learning Languages made easy! I appreciate the repost, thanks a lot! Awesome post. I remember the first dance I ever had with a cloudy dancer, MAGICAL. I attend congresses each year in the hopes of finding one such dance each and every night and the feeling is just as you said: ” It’s the type of dance that fulfills your whole night, the type of dance you can retire on”. Gonna reblog this post next week. Its just that damn Good! Thanks buddy, I’m glad you liked it!